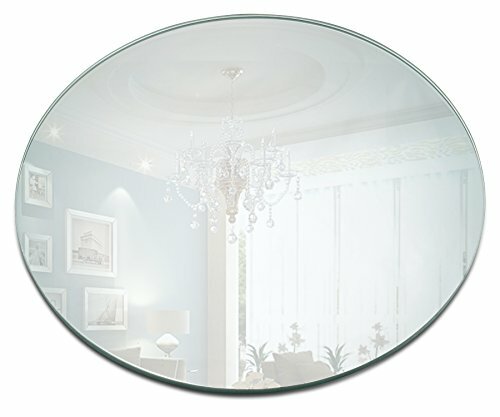 A round Mirror plate is a Great Idea how to display your candles , this mirrored candle plate will add a decorative touch to your home as well as preventing wax drips on your surfaces. Ideal to display an array of candles including Pillar candles Taper And Votive candles. This round mirrored plate will keep your candles upright to ensure no wax spills or drips on your floor or surfaces, keeping them protected. Designed with a bevelled Edge, not only will this candle holder protect your surfaces but it is a great way to reflect the light from your lit candles, to create a dramatic effect in your living space.